I just discovered Ellinee Design via my favorite party site, Celebrations at Home! This blog (and corresponding site where you can purchase paper invitations) is chock full of gorgeous and simple DIY entertaining ideas! 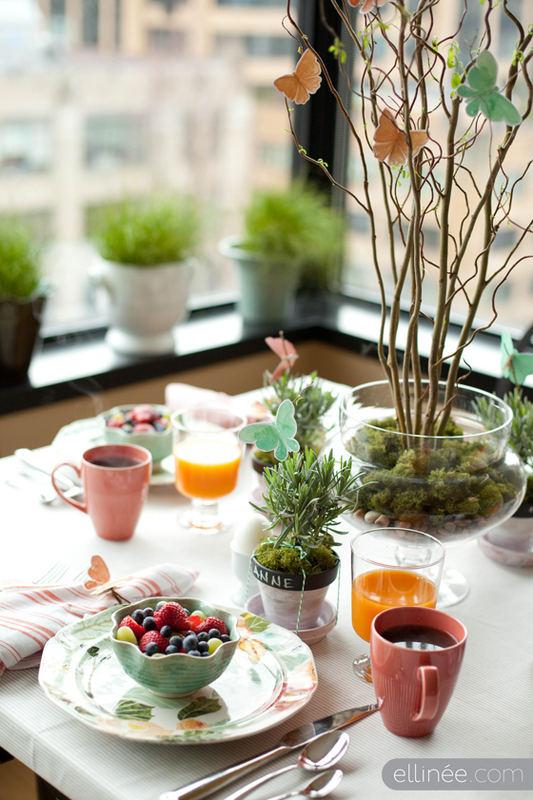 I loved this butterfly brunch they did; it's perfect for spring! 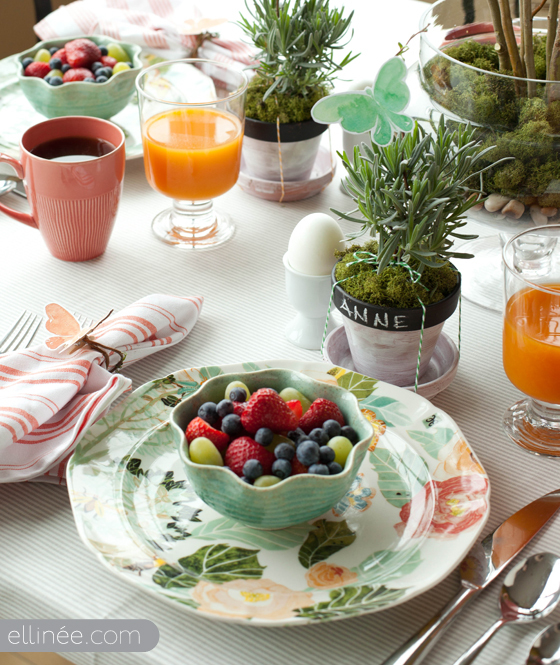 Check out the full post for details and free butterfly printables so you can make your own butterfly brunch! You can learn how to make the dramatic centerpiece with curly willow twigs HERE! Also on the site is a paper rose bouquet that is absolutely beautiful. I sent this to my October bride (who is using only paper flowers - eek! love!) and she loved it! Can you believe this is paper? Check out the post for instructions! I've got a busy weekend with a Sunday wedding where I'm handling the day-of-coordination - Congratulations Paul and Cori! Hope you all are enjoying your week and have a great weekend! Beautiful & very classy... love. 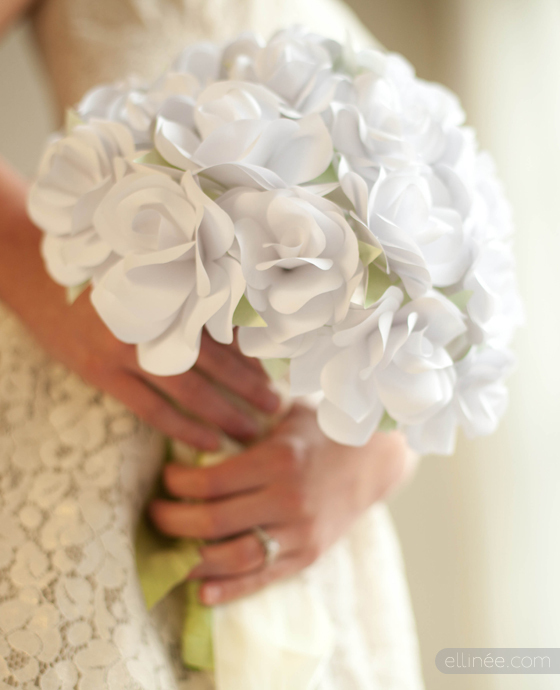 Love that bouquet! Wow, amazed it is paper! Loving the new look of your blog. I have moved my blog by the way and wanted to drop you my new link. Hope all is well! I love Elinee! This is such great inspiration, too. Have a great weekend, and best of luck to your couple! However, the types of SEO services can be broadly classified into two categories namely on-page optimization and off-page optimization. It is the internet protocol that makes it possible for everyone to have access to a vast collection of information at an instant. The search engine results are based upon relevant audience searches in major search engines like Google, Yahoo! Search and Bing.